A lesser known member of the citrus family, you may recognise the aroma from floral Earl Grey tea leaves. Sally Abé tells us everything you need to know about bergamot. Bergamot is a citrus fruit hailing from Calabria in Italy, where eighty percent of the world’s stock is still grown. The trees were originally brought over from Persia by traders in the 1700s and have been grown there ever since. The rind of the bergamot (in the form of an essential oil) is widely used in the production of perfume and also the aromatic Earl Grey tea. The very bitter flavour of bergamot is caused by the natural compound citrus polyphenol, which has been shown to benefit the cardiovascular system when taken in high doses. Due to this bitterness, the fruit of the bergamot itself is not generally used directly in cooking, but rather the rind or the juice as flavouring. Bergamot has an almost overwhelming perfumed flavour and a high acidity which means it is normally mixed with milder citrus fruits such as lemon or orange to make it palatable. It is also sour – similar to that of a grapefruit – and only a little of the juice is normally needed. 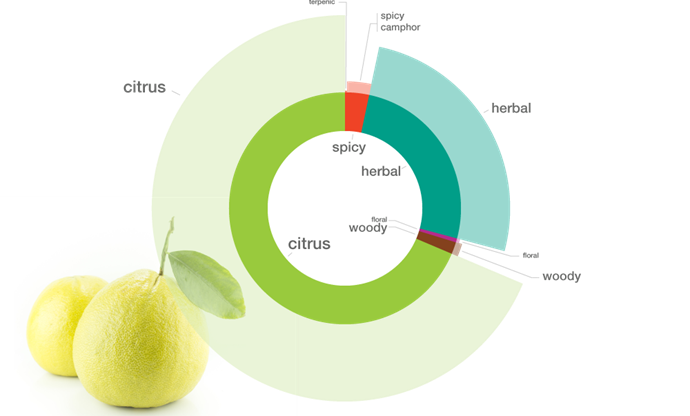 The primary aromas in bergamot are that of citrus, which splits into two distinct categories; citrus with citrus peel and citrus with coriander seed. The secondary aromas in bergamot are that of pine and floral notes, especially rose. The flavour of bergamot lends itself very well to herbs with an obvious link to coriander, but also works with basil, thyme and sage. However, the ultimate flavour pairing has to be rosemary; combining those two flavours in a custard tart perfectly offsets the richness of the eggs and cream. Bergamot also stands up to bold spices such as coriander seed, cardamom, cinnamon, nutmeg, cumin and star anise. Other strong flavours that complement bergamot also include gin, lemongrass, ginger and chamomile. Citrus fruits match well with bergamot, such as lemon and grapefruit, but also lesser used varieties such as yuzu and kumquat. Peter Coucquyt’s take on a classic Cosmopolitan links bergamot with Citroen vodka and the floral notes of Mandarin Napoleon, a brandy similar to Grand Marnier, while David Everitt-Matthias pairs his Bergamot parfait with orange and the strong flavour of liquorice for a distinctly different dessert. 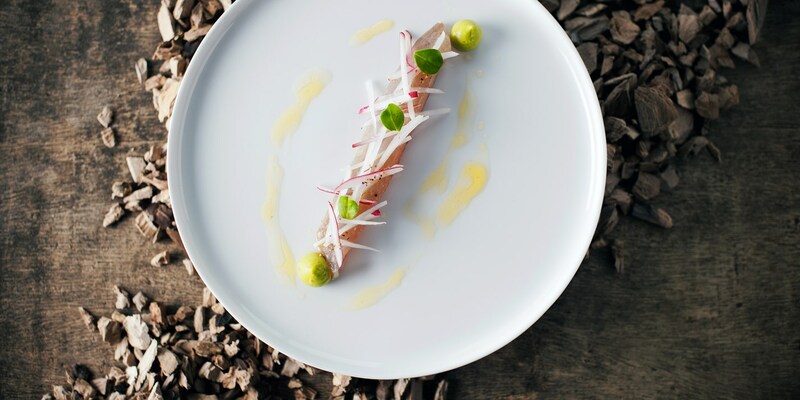 This Smoked mackerel with avocado and bergamot recipe works so well thanks to the similar floral notes in the bergamot and mackerel. The green aromas that are also present in the mackerel also match with the avocado and olive oil, while the peppery taste of the radish is in stark contrast to these aromas, and adds a great flavour boost. Bergamot essential oil is used in over fifty percent of all women’s perfume. 100 bergamot oranges will produce just 85g of essential oil. Bergamot was named after the city of Bergamo in Lombardy, Italy. The Foodpairing method is based on the principle that ingredients go well together when they share aromas. Aromas are the key drivers of our flavour experience and therefore crucial for the synergy of food and drinks. On www.foodpairing.com you can access a database of over 1,500 analysed ingredients and discover their links. You can find more about flavours, aromas, food pairing and exciting recipes on blog.foodpairing.com.